I am excited you are here and look forward to seeing what you have to share. everyone that dropped by to view the links. Let’s take a look at a few of the most viewed links from last week’s party…. 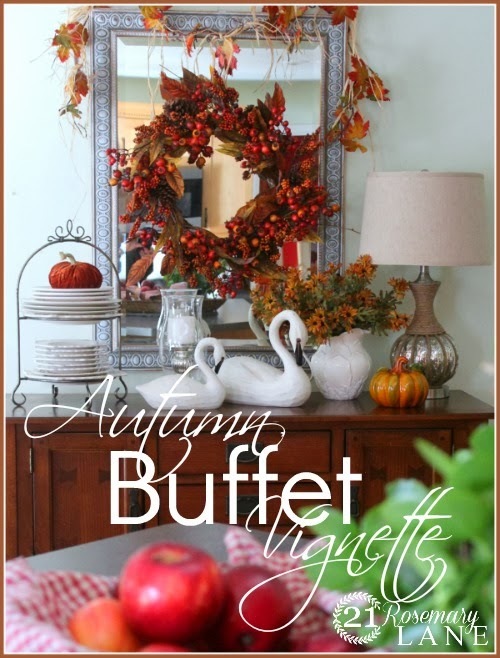 At Rivercrest Cottage shared her gorgeous kitchen decorated for Fall. This beautiful Bed and Breakfast in Siena was shared by Kelly @ Coastal Cottage Dreams. This gorgeous vignette belongs to Barbara at 21 Rosemary Lane. to walk you through it. Thanks, I appreciate your cooperation!! 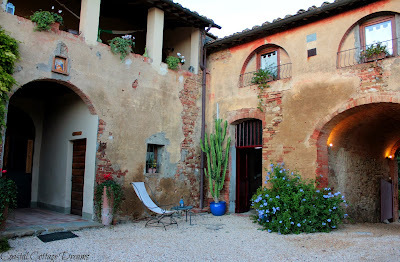 Thanks so much Sherry for featuring my post on the bed and breakfast/vineyard in Siena, Italy. Have a wonderful week. Lovely features, as always! Have been enjoying your house hunting adventures and the last one had great features, including that pool! Nice features, loving the cheesecake! Thank you for hosting this week. Thanks for hosting Sherry. Now that cheesecake looks soooo yummy!! Thanks for hosting! I linked back to your site! 🙂 Happy Wednesday!!! Hi Sherry! Did you make up your mind on the house yet? Thanks so much for hosting! Sherry…omgosh what an honor to be featured, thank you so very much! We are currently in Williamsburg Va and I just jumped on my Nook to check messages when I read yours. This is a very special early birthday gift indeed. Wishing you a wonderful weekend. That dessert looks so yummy and I love Barbaras Fall buffet! Thanks for the party. Thanks so much for hosting your linky party for us . you have some lovely features this week. Hoping you have a wonderful week with family. Thank you so much for featuring my kitchen. Now I'm really going out to buy a better camera! I posted how thankful I am for your feature. thanks again. The Autumn decor is inspirational. Thanks for hosting Sherry. Have a great week. I've spent the last hour visiting these wonderful blogs and enjoying every minute of it. So many pretty rooms and autumn touches. 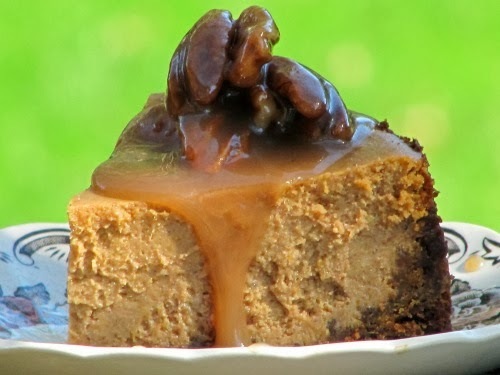 Your features this week are awesome – and I am pretty sure I left drool all over my keyboard on the pumpkin cheesecake – oh my goodness! Thanks for hosting- glad I could join you this time! Hugs. Hey, Sherry! Thanks again for another lovely party! Always a treat joining you. Thanks so much for hosting your party for us, Sherry! You have so much else going on in your life…you are great to keep the party going! Hi Sherry, the features look yummy. Thank you so much for hosting, and have a great weekend. What a delightful party, full of intriguing ideas for house and home And I love your button. Have it placed happily on my post for today. Thank you so much for the fun visit. Love all of these!!! When I saw the B&B was in Sienna, right away I heard lines from Letters to Juliet where Victor asks Sophie what is she doing in Sienna. I love the look of using swans in a decor. I see them and I think of their majestic presence…Beauty!! !